Should I refuse a DUI breath test? Determining whether or not to take an Oregon breath test after being arrested for DUI is an important decision. While we are not allowed to give legal advice through our website, we can provide helpful information that may aid in making that decision. Call a DUII attorney as soon as possible if you’re pulled over for a DUII. What is a refusal of an alcohol breath test? First, when law enforcement asks you to submit to a breath test, there are a number of ways a person can refuse a breath test. Generally speaking, refusing to consent to a breath test requires an affirmative statement or act. However, in certain circumstances failing to do anything or failing to adequately blow into the machine can also result in a refusal. Once a person has refused to provide a breath sample, the refusal has taken place. If later, the individual changes their mind and decides they want to provide a breath sample, the operator is not required to allow the test to occur. In other words, once refused, the test is done, but law enforcement can allow someone to submit to a breath test after a refusal if they choose to allow it. What are the consequences of refusing a breath test in Oregon? Second, it’s helpful to understand what can happen if you refuse to submit to a DUII breath test on the Intoxilyzer 8000. In Oregon, the Implied Consent law requires drivers in the State of Oregon to submit to a breath test after being arrested for DUII. 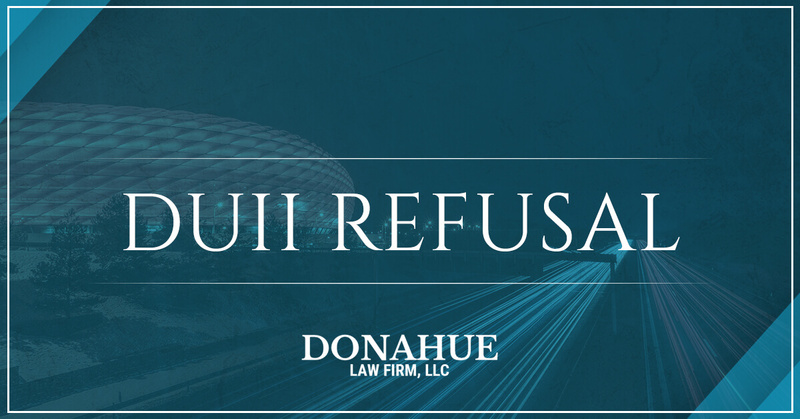 If you refuse, under the Implied Consent law, your license will be suspended for at least 1 year, and up to 3 years if you are subject to an increased license suspension unless you request and prevail at a DMV hearing. Compare this to the range for a breath test failure which can be the standard 90-day suspension or up to 1 year under an increased suspension. To make matters worse, if you refuse a breath test you will likely not be eligible for a hardship license for a minimum of 90 days, and possibly the entire three years under the increased criteria. What happens after a breath test refusal in Oregon? In addition to the driver license suspension, the officer handling the DUII arrest can submit a warrant to draw blood in order to obtain a blood alcohol level. This is something very important to keep in mind for those thinking they can avoid any BAC results if they simply refuse a breath test. Should the officer apply for the warrant to draw blood, and obtain a warrant from a judge, blood will be drawn whether you like it or not, AND you will have an increased suspension of your driving privileges. Just because you refuse a breath test does not mean a blood draw will take place. Not all law enforcement officers will seek to obtain a warrant to draw blood. There is also no guarantee a judge will allow the warrant. This is the chance you’re taking when refusing a breath test. If you are facing a DUII call us today to speak with a Bend DUII attorney.